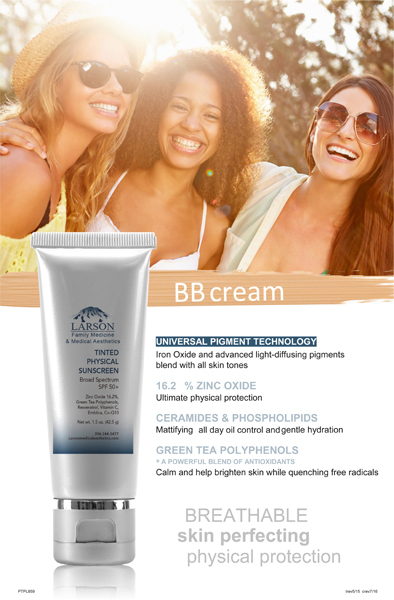 Larson Products Specially formulated to help your skin stay healthy and youthful. Breathable, skin perfecting* physical protection. Broad Spectrum SPF 50+. Iron Oxide and advanced light-diffusing pigments that blend with all skin tones. 16.2 % ZINC OXIDE provides ultimate physical protection. CERAMIDES & PHOSPHOLIPIDS lend mattifying all day oil control and gentle hydration. 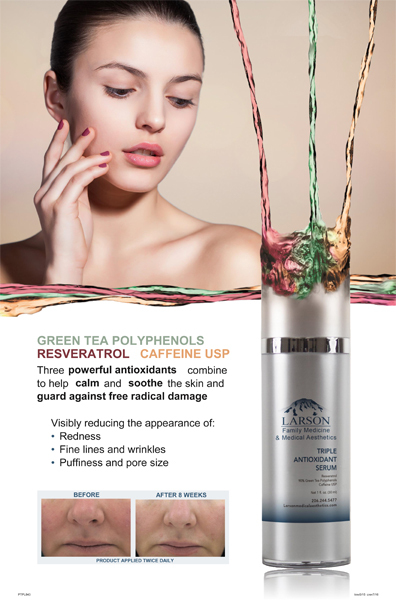 GREEN TEA POLYPHENOLS + A POWERFUL BLEND OF ANTIOXIDANTS calm and help brighten skin while quenching free radicals*. calm and soothe skin while guarding against free radicals*. 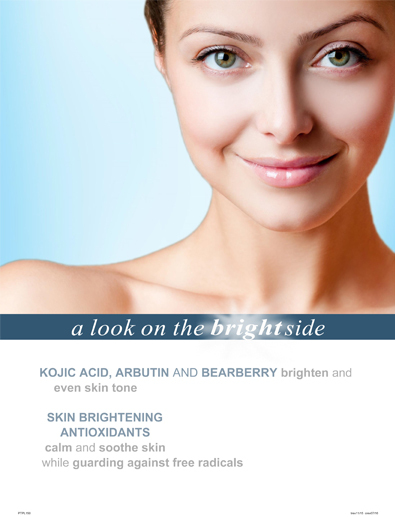 KOJIC ACID, ARBUTIN AND BEARBERRY brighten and even skin tone*.